Running under the lights and sounds of the Las Vegas Strip are miles and miles of water pipelines. 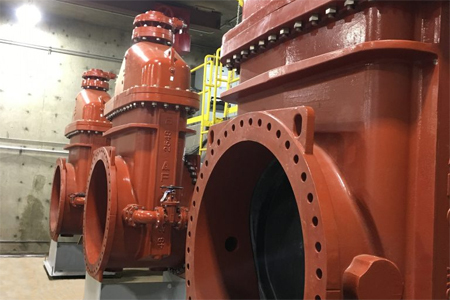 Managing and maintaining the main supply of water to this area is a Rate of Flow Control Station (ROFCS) operated by the Southern Nevada Water Authority (SNWA). This ROFCS alone has the ability to deliver up to 180 million gallons of water a day.